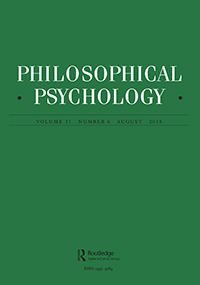 Michael Tomasello’s account of moral evolution includes both a synthesis of extensive experimental work done on humans and chimpanzees on their potential for perspective-taking and helpful, altruistic generosity and a major emphasis on “collective intentionality” as an important component of morality in humans. Both will be very useful to the evolutionary study of this subject. However, his disavowal of collective intentions on the parts of chimpanzees would appear to be empirically incorrect, owing to reliance on experimental captive research focused only on dyadic interactions. Here, evidence to the contrary is provided from studies of wild chimpanzees as they naturally cooperate in sizable groups. Collective intentions are inferable when they go on patrol, when they mob predators, when they go hunting, and when large coalitions gang-attack disliked members of the same community. This last behavior has particularly significant pre-adaptive implications for the evolution of moralistic social control, and it suggests that moral evolution has deep roots, going back to the Last Common Ancestor of humans, bonobos, and chimpanzees.